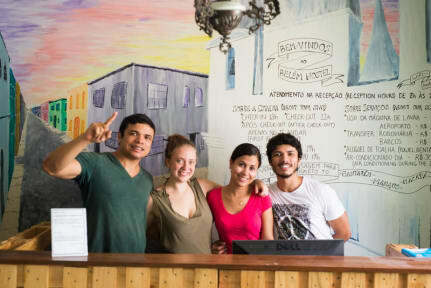 Belem Hostel i Belem, Brasilien: Reservér nu! By making a group reservation through Hostelworld.com you agree to the following terms and conditions as set by Hostelworld.com and as set by the hostel in question. In order to make a group reservation on Hostelworld.com it is necessary to pay a deposit. 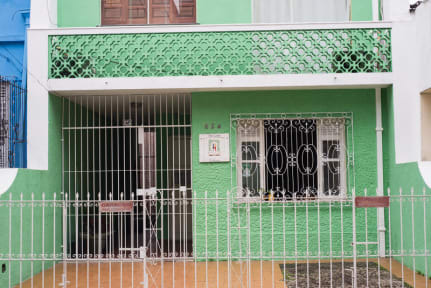 The balance is due directly to the hostel according to their payment conditions. The booking deposit is non-refundable. Please note that any cancellations must be notified directly to the hostel at least 24 hours in advance of your scheduled arrival date, unless otherwise stated in the hostel's conditions. Hostelworld.com are not responsible for changes or amendments to your reservation once it has been processed. All correspondence with regard to changes to your booking need to be dealt with directly with the hostel. It is your responsibility to pay the balance of your accommodation cost to the hostel in accordance with their payment conditions (see below). Failure to do so may result in your reservation being cancelled by the hostel. Individual hostels may have special booking conditions relating to group stays, please read the hostel booking conditions carefully before making your reservation. The remainder of the amount due will be charged to your credit card ???? Should numbers or room selection change, the per person deposit times the number of people who actually travelled will be deducted from the total accommodation charge levvied by the hostel. The following group types are not accepted by this hostel: Holiday with Friends, Junior / Primary School, High / Secondary School, College / University, Business Trip, Stag/Hen/Bachelor Party, Sports Group, Cultural Group If you have misrepresented the type of group you are booking for, your booking may be cancelled by the hostel." Any cancellations resulting from agreement to these terms and conditions under false pretences will result in loss of deposit. Sæt kryds her for at angive, at du har læst og forstået vilkår og betingelser. Du skal acceptere vilkår og betingelser, for at vi kan bekræfte din booking. Jeg bekræfter, at jeg har læst og forstået ovenstående vilkår og betingelser for gruppebookinger som angivet her på dansk. Book mindst 7 dage før og få fordel af gratis annullering. Bestil, mens du er på farten, med de nye Hostelworld mobil-apps. Søg og bestil ud fra mere end 36.000 indlogeringssteder i mere end 170 lande, uanset hvor du er.